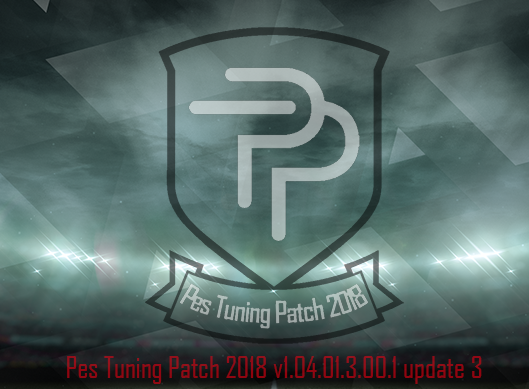 Update Patch PES 2018 Terbaru dari Tuning Patch V1.04.01.3.00.1 update 3 – Berikut fitur update patch PES 2018 terbaru dari Tuning Patch V1.04.01.3.00.1 Update 3. - Ball: Added 1 new ball (Adidas Telstar World Cup Russia Competition). - Chant: Added new chants & national anthems. (Chantpack v4 & National Anthems v2 by predator002). - Controllor: Added new PS3 controller. - Face: Added 6 new faces. - Live Update: Latest live update (12/04/18) fully implemented. - Mini Face: Update 575 mini faces with actual faces in patch. (All Bundesliga teams, Fc Barcelona & Real Madrid fron LaLiga Santander and Liverpool Fc from Premier League). - Wet Kit: Added wet kits for all leagues & all teams.